On a beautiful summer day a young girl sets up a lemonade stand. 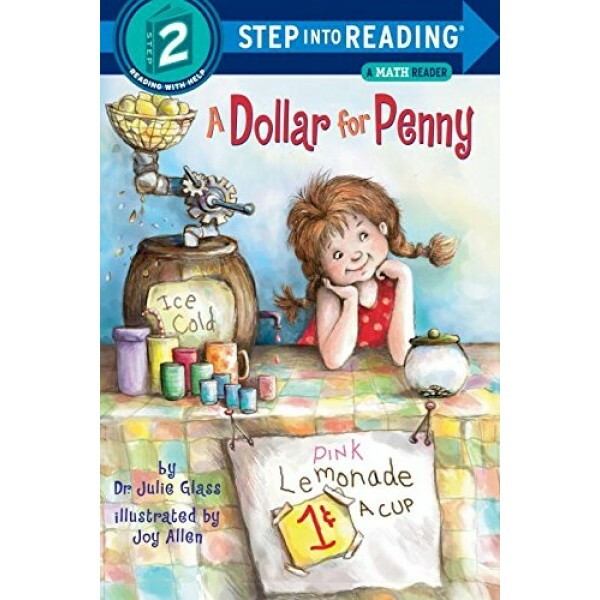 Her first cup sells for one penny, but then she realizes she can charge more - 2 cents, maybe even 5. And some kindly customers are willing to pay even more! 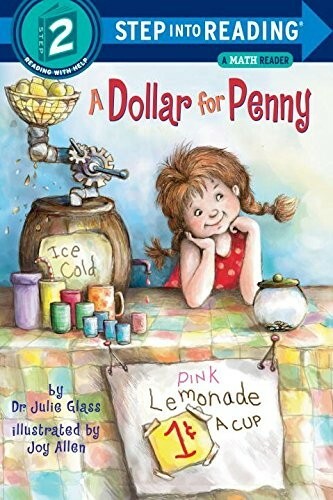 She puts each coin into her big glass bank, totaling a dollar in sales by the end of the day. Told in rhyme, this delightful story combines the teaching of addition with a traditional rite of childhood entrepreneurship! This level 2 book from the Step Into Reading series is perfect for emerging readers.